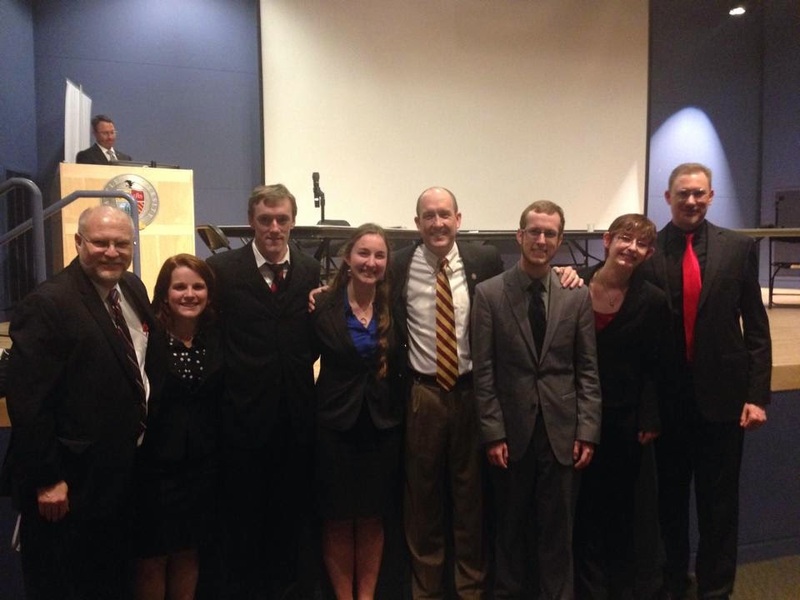 Whitworth’s Ethics Bowl team, the Philosoraptors, closed out the season by taking first at the Independent Colleges of Washington Ethics Bowl at Seattle University on April 4. The team of five students defeated Walla Walla University, Heritage University and Seattle Pacific University, before defeating Seattle Pacific in the semifinals and Gonzaga University in the finals. The 2014 ICW Ethics Bowl featured 10 teams from colleges and universities that are members of the Independent Colleges of Washington; the teams debated cases based on the theme “the ethics of science and technology in the workplace.” The annual event showcases students’ knowledge of applied ethics and their ability to apply ethics to everyday challenges as future leaders in their own communities and places of business. In addition to Sauter, the Philosoraptors include Kaitlin Barnes, ’17, Tom Congdon, ’14, Brennan Neal, ’16, and Ellie Probus, ’16. The team is coached by Mike Ingram, professor of communication studies, and Keith Wyma, associate professor of philosophy. “It was wonderful for [Whitworth] President Taylor to see our students in action, demonstrating their integration of ethics theory and public policy questions,” Ingram says.